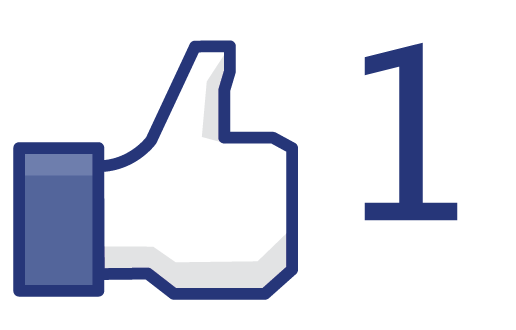 Do you want to know Who Unfriend You On Facebook? And if you want to know the reason behind decreasing in your Facebook Friend List. Let’s find out who ditched you from their Facebook Account. Facebook users who are depressed about their loosing friends and have concern that the social network is not providing them an option to see who has unfriended them on Facebook Friends List now there is solution available for them. 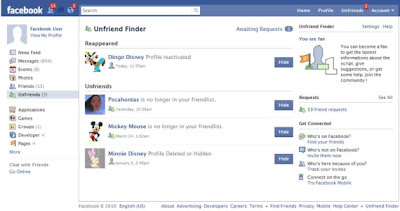 There is a Free Facebook Unfriend Finder Script Available online which provides you can option to watch and see who has unfriended you on Facebook. 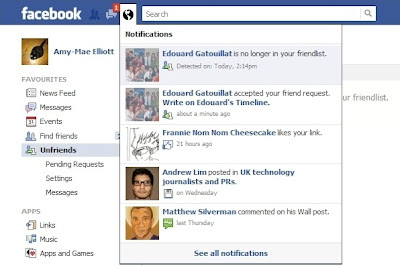 Facebook Unfriend Finder Script by Edouard Gatouillat is available for all Web Browsers online. The scrip is very easy to use and is available for Download Free-of-Charge. Facebook Unfriend Finder Script is compatible with Internet Explorer, Firefox, Google Chrome, Opera, and Safari. 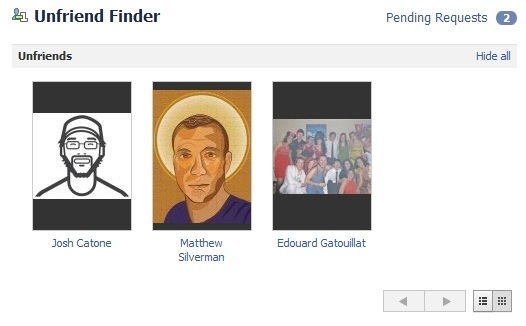 Facebook Unfriend Finder installs automatically for Google Chrome browser, while Firefox Browser users must first install the Greasemonkey Add-on to use the script. Facebook Unfriend Finder notifies users when someone on Facebook unfriends you, alerts you when someone you are friends with deactivates their profile, and helps keep track of your friend requests and also track that has declined your friend request on Facebook. Facebook Unfriend Finder Script also makes identifying unfriends easy by displaying a red counter in the menubar with the amount of unfriends you have. It also uses Facebook notification to alert you on these events. How Facebook Unfriend Finder Script Works? Read the following simple steps to know more about Facebook Unfriend Finder Script. Adds a tab labeled unfriends to the top right-hand corner of users’ Facebook homepages, and puts a similar option in the user’s favorites list. If a user is unfriended by someone else, a red number notification will appear next to unfriends, looking exactly like the alerts for friend requests, messages, and notifications. Unfriend information, including the name of the user who committed the action, will appear in the main notifications tab. The same information appears if users click on the unfriends option in the favorites list, but accessing the data that way will also give them the date and time of the action. 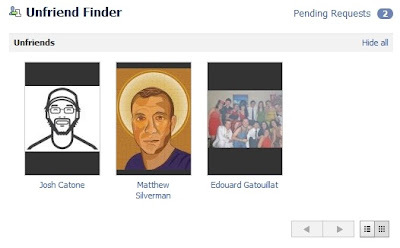 Unfriend Finder also alerts users when people deactivate and reactivate their profiles. 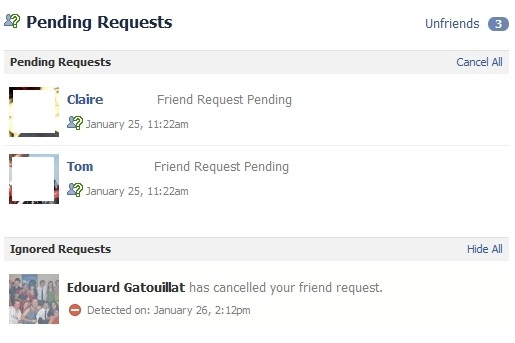 And the script allows users to keep track of friend requests (pending requests, ignores and cancels). You can get Free Facebook Unfriend Finder Script here.